Were the Trump administration to mandate E-Verify, the digital employment verification system, how would the hospitality industry – that brims with immigrant labor — deal? Under the shadow of volatile immigration policy, restaurants and hotels contemplate the fate of their workforce as E-Verify, the digital employment verification system, gains steam in Congress and in public opinion. 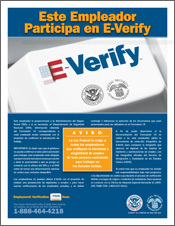 The government defines E-Verify as a “free, Internet-based system…that allows employers to verify the employment authorization of their employees.” The online tool cross-checks an employee’s I-9 form against databases at Homeland Security and the Social Security Administration, flagging names and numbers that ring duplicate or fraud alerts. The study, titled Heartland Hospitality: Serving the Needs of the Midwest Economy through Immigration, cites an aging workforce and changing education levels as chief among reasons for the industry’s reliance on immigrant labor. Teenagers once turned to restaurants for seasonal jobs, but in 2014 they comprised about 16 percent of the industry workforce, according to the National Restaurant Association. In contrast, unauthorized immigrants filled 20 percent of the nation’s 2.6 million cooking positions and 28 percent of its 360,000 dishwashers, according to the Pew Hispanic Center. “The region has come to rely on immigrants as kind of a demographic lifeline, not only to offset population losses but also to bolster its workforce,” said McElmurry. She recommends four policy changes to protect the industry and improve working conditions, including a visa program amenable to market fluctuation and helpful to immigrant entrepreneurs. Current visa programs tend to be capped annually, which doesn’t solve the industry’s seasonal workforce shortage, and doesn’t leave any room for less skilled, non-agricultural work. Recognizing a continuing need for immigrant labor, McElmurry also suggests “a reliable and consistent employment verification system to hire new workers,” a slot potentially filled by E-Verify. Illinois does not require employers to use E-Verify, and in fact discourages its use under the Right to Privacy in the Workplace Act by imposing strict regulations on how and when to use it. In 2007, the state enacted a law prohibiting the use of E-Verify due to alleged inconsistencies and infringement on workers’ rights. The Department of Homeland Security sued to have the law invalidated and won. More than 2,500 Chicago employers are registered on the E-Verify platform, which U.S. Immigration and Citizenship Services provides free of charge to employers nationwide. The types of businesses using it run the gamut from staffing agencies to JPMorgan Chase and from manufacturing to dozens of Dunkin Donuts franchises. Despite contacting nearly two dozen Chicago restaurants and hotels listed as PoE-Verify users, none would comment for this story. Some said they were too busy during the holidays, while others did not respond. Brought online in 2004, employment eligibility originated in Ronald Reagan’s 1986 Immigration Reform and Control Act, creating the I-9 form. A decade later, the Social Security Administration launched a “Basic Pilot Program” in six states, including Illinois, that matched I-9 information with social security numbers. In 2007, the program added a photo matching tool — “the first step in incorporating biometric data,” says the government website — and got a new name: E-Verify. The form itself was most recently updated in September with modern language and a digital-friendly layout. Today, more than 700,000 employers participate in the program, and the federal government is paying more attention to it. The E-Verify page was last updated on Oct. 30, five days after the House Judiciary Committee approved the Legal Workforce Act,. The bill, introduced by three Republican congressman in 2015, would make E-Verify part of employment law, eliminate the I-9 and supersede state E-Verify laws. In its current form, the bill leaves states as the dominant enforcers and provides safe harbor to employers who receive false negatives, as long as they are using the system “in good faith.” It would also eventually replace the H2A visa program with a new H2C visa for agricultural workers. For Loren Locke, an immigration lawyer for both employers and employees, it’s not a matter of if E-Verify will be mandatory but when. Nearly half of all states currently require the use of E-Verify for certain private and public employers, according to the National Conference of State Legislatures. Since 2007, nine states have passed laws requiring all employers to use E-Verify. The fine print offered phase-in periods, starting with larger public employers and ending with the smallest of private companies a few years later. In Mississippi, employers who hire with “reckless disregard of the immigrant’s ineligibility to work” face a felony charge, one to five years in prison, and fines of up to $10,000. Similarly, South Carolina employers who knowingly hire unauthorized immigrants face a felony charge and up to five years in prison. Of course, it has been illegal to knowingly hire unauthorized workers since Reagan’s 1986 immigration bill. Enforcement has been sketchy, though, and companies can use labor contractors to skirt immigration law and skip E-Verify. California and Illinois go so far as to restrict the use of E-Verify. Possibly foreshadowing the current polarized political discourse, California’s state legislature in 2009 attempted to block state, county or city governments from mandating E-Verify, “except as required by federal law or as a condition of receiving federal funds.” Then-governor Arnold Schwarzenegger vetoed the measure. The Public Policy Institute of California reports that almost half of the state’s 10 million immigrants are naturalized citizens or legally authorized to work. From 2011 to 2015, a majority of its immigrants arrived from Asia, upending the notion that the Mexican border poses the problem. In fact, Mexican immigration has stagnated since the late 2000s. Illinois’ 450,000 unauthorized immigrants comprise less than 5 percent of the state’s population, according to 2014 data from Pew Hispanic. Arizona’s 325,000 unauthorized immigrants comprise 5 percent of its population, and research by the Federal Reserve Bank of Dallas showed that the state’s strict E-Verify laws probably deflated that number. Conversely, states with far smaller immigrant populations have passed some of the strictest E-Verify laws: in 2014, about 85,000 unauthorized immigrants lived in South Carolina and 25,000 in Mississippi. Despite having nine states as mandatory E-Verify proving grounds, data and public opinion remain conflicted. Some of the system’s woes could be attributed to initial kinks, when an error as minor as a misplaced hyphen or a nuptial name change could flag a U.S. citizen as ineligible to work. Still, she says that such issues, possibly more common when states like Illinois weighed the issue in 2007, have diminished. McElmurry’s study cites data provided by the Social Security Administration that refutes such accuracy: nearly 18 million records, or 4.1 percent, contain inaccuracies in name, date of birth, or citizenship status — and 12.7 million of those records belong to U.S. citizens. President Bush’s Homeland Security team commissioned a 2007 study that determined this margin of error was too high to make the program mandatory nationwide. Ten years later, have technological improvements remediated these mistakes? Times have changed, but have restaurants? E-Verify advocates say it would bring more jobs to American-born workers. Without a valid social security number, they say, immigrant workers would peter out from the labor pool and, in turn, out of the country. Conservative think tank NumbersUSA, and one of the most vocal E-Verify proponents, calls for “any smart, practical, law-abiding, civic-minded and patriotic” business to use E-Verify regardless of laws. Critics contend such a system would undermine the intent: undocumented workers may dip into the underground workforce, eventually padding the bottom line of employers willing to pay off-the-books. Labor advocates, as McElmurry also notes, worry this under-the-table reality would exacerbate poor working conditions and increase the use of unchecked independent contractors. Restaurant workers are no stranger to such under-the-table pay plans. A former operations director at one of Chicago’s most successful restaurant groups called dishwashers undoubtedly the “unsung heroes” of any restaurant. Lose the dishwasher before a dinner shift and anyone inclined can — and will — take on that essential duty, no matter the paperwork. A few of McElmurry’s sources said up to two-thirds of its staff was foreign-born, especially in the back-of-house, where English language skills are less pertinent. Gregory León, chef and owner of a Spanish wine bar in Milwaukee, said he fired five U.S-born dishwashers before the sixth — an immigrant — persevered without complaint. The National Restaurant Association, a staunch opponent of minimum wage increases, approves of the Legal Workforce Act but contradicts the bill’s tenets by simultaneously advocating for a “viable temporary-worker visa program” for non-agricultural employers. Like McElmurry, the association understands that the hospitality industry would suffer without immigrant labor and calls for a system that allows “legal, year-round, temporary workers” to fill hospitality jobs. The reality is that cooking in front of a hot stove, washing dishes and carrying heavy racks of plates up and down stairs, or bending over scrubbing bathtubs and making beds is all hard work. It’s even less appealing when hourly pay hovers around $10 or $11 an hour with little to no benefits. Of course, plenty of U.S. citizens work these hospitality jobs, but industry experts fear the loss of immigrant labor would hurt not just their bottom line but the economies of entire regions. The Center for American Progress, a liberal policy group, in 2016 determined that in the Midwest, Illinois stands to lose the most economically at 12 percent of its annual GDP. Kansas would lose 8 percent, while Indiana, Minnesota, Nebraska and Wisconsin would each lose 5 percent. Taken as a whole, the Midwest could lose nearly $6.5 billion in annual GDP. Restaurants nationwide have taken some steps to combat this possibility by supporting their immigrant workforce in various ways. Last February, “A Day Without Immigrants” led hundreds of employees to stay home from work, highlighting what 17 percent of the workforce, according to Pew Research, really looks like. Restaurant Opportunities Center United (ROC), a nonprofit supporting living wages and quality of life standards for restaurant workers, started a year-round immigrant solidarity movement called Sanctuary Restaurants. About 40 establishments have signed on in Chicago, alongside another 300 across the country. Though Locke sees federal E-Verify requirements as inevitable, she is skeptical it will work the way proponents want it to work. She pointed to other, less scrupulous companies which might continue to seek out cheaper workers. “There are lots of employers in the U.S. that want to take advantage of this labor pool, and this labor pool is highly motivated to find a way to make it work,” Locke said. In other words, businesses could find a way around a federal mandate, especially if enforcement ends up being lax.